Explanation: What makes this spiral galaxy so long? 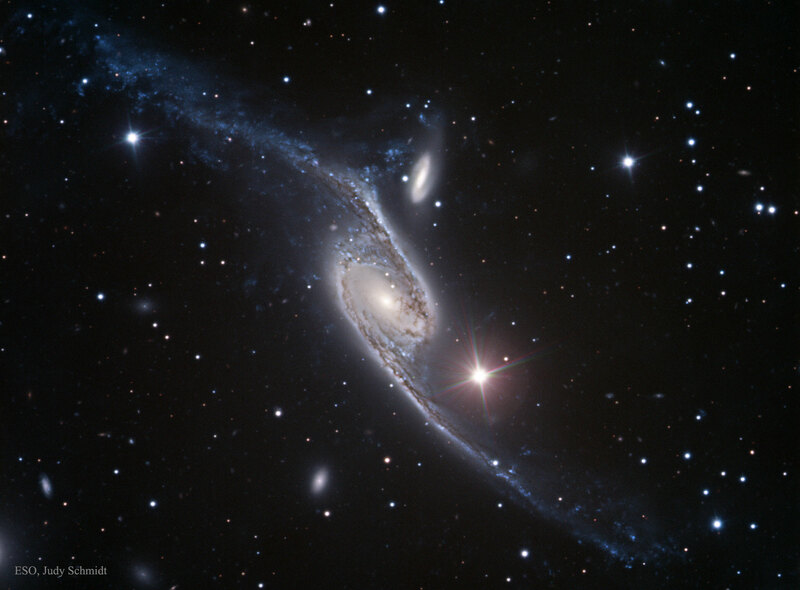 Measuring over 700,000 light years across from top to bottom, NGC 6872, also known as the Condor galaxy, is one of the most elongated barred spiral galaxies known. The galaxy's protracted shape likely results from its continuing collision with the smaller galaxy IC 4970, visible just above centre. Of particular interest is NGC 6872's spiral arm on the upper left, as pictured here, which exhibits an unusually high amount of blue star forming regions. The light we see today left these colliding giants before the days of the dinosaurs, about 300 million years ago. NGC 6872 is visible with a small telescope toward the constellation of the Peacock (Pavo).